Food for Thought! : First haircut at Videsh! As a kid, it was my grandfather who use to take me for haircuts. It use to be a Sunday when he also needed a haircut. The hairdresser shop was fixed and he use to greet and give special place on the bench to sit to my grandpa. There use to be a television at one of the top corner of the saloon and I used to get glued to 'Rangoli' or 'Mogli' tele-serials. My grandpa use to read newspaper as we use to wait for our turn. Sunday mornings use to be the 'peak' time for the saloon as it was public holiday and there use to be few of such shops in a particular area. As I grew I realized my grandpa also use to get preference over others already waiting because of his age and also as he was accompanied with a small kid! The barber use to put a wooden plank on the two arm rest of the chair so that the seating height is higher for kids like me and my head could pop out of the seat back rest. (How I wish I had a photo of that shop and chair, now!) There use to be two boards hanging in the shop with different hair styles and I always to ponder which one I would keep when I grow up! Miss those carefree time! 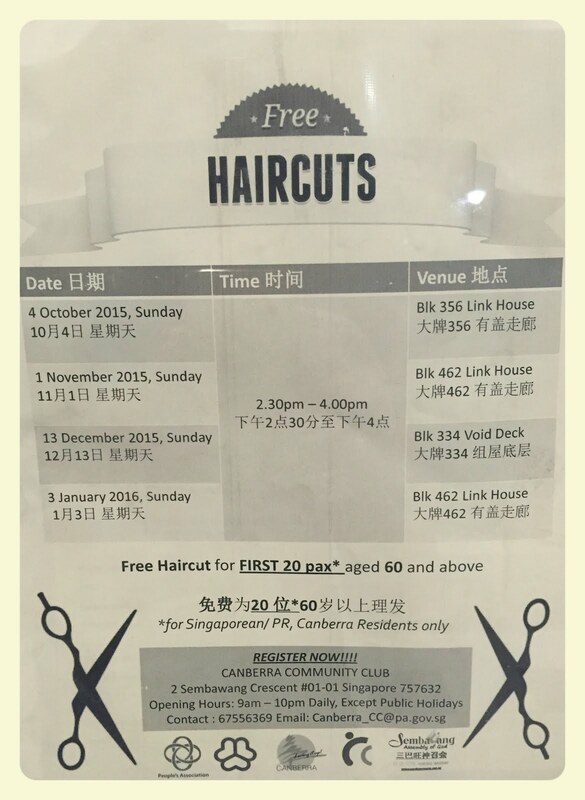 When I came to Singapore and after a month or so, it was time to go for a haircut, I was a little hesitant. The hesitance was because I have heard so many stories from my friends and cousins staying abroad, some good and some mixed experience. I have enquired about haircut to few of my colleagues in office because I was knowing just them. They shared their own different experiences. They suggested to go to Little India for a haircut by Indian barber or go to any local hair saloon near by. It did not help me much to make up my mind. 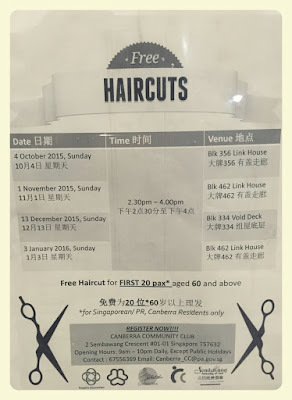 I took a stroll infront of few hair saloons in my then residential area but somehow I could not muster enough courage. Two more weeks passed and it was time that I needed an haircut badly. Same week a new shop had open near to the place I use to stay. I premeditated myself to just walk-in and get the haircut done. As I entered, the shop was full of a pungent smell. It was similar to what I experienced in one of the food-courts earlier in a week. (Food courts are common food joint for general public, serves food at a cheap price on a comparative basis, a separate post on that). Later I figured out that it was from shop owner's breakfast/ brunch. Since I am a vegetarian, probably it just hit me a little harder. As I entered, I encountered multiple cultural shocks at the same time. First, the barber was a lady, henceforth will be referred as hairdresser. Till that day, I had encountered only male barber for male haircuts- that is the common trend back in India. Second, she was Chinese. Well this was not a shock but I was kind of puzzled if I will be able to explain her how I wanted to cut my hairs. She glanced at me and gave me a kind of puzzled look. Probably she was encountering first Indian since she had opened the shop. She asked few questions to check if I sure that I wanted to cut my hairs there only. I affirmed her because I was in no mood of exploring any further. The third observation was that in Singapore, there is a concept of Unisex saloons, something which was not that common in India at-least for adults. Side shave Haircut - source: google and picked up from mens-hairstyle website, just to make your imaginations better as to what I meant! It was my turn next then, trust me, I was a bit scared, or I would say that I was a bit more than scared! I explained her that I wanted medium hair size which is uniform all over my head. I somehow managed to explain her because she wasn't as good in English. 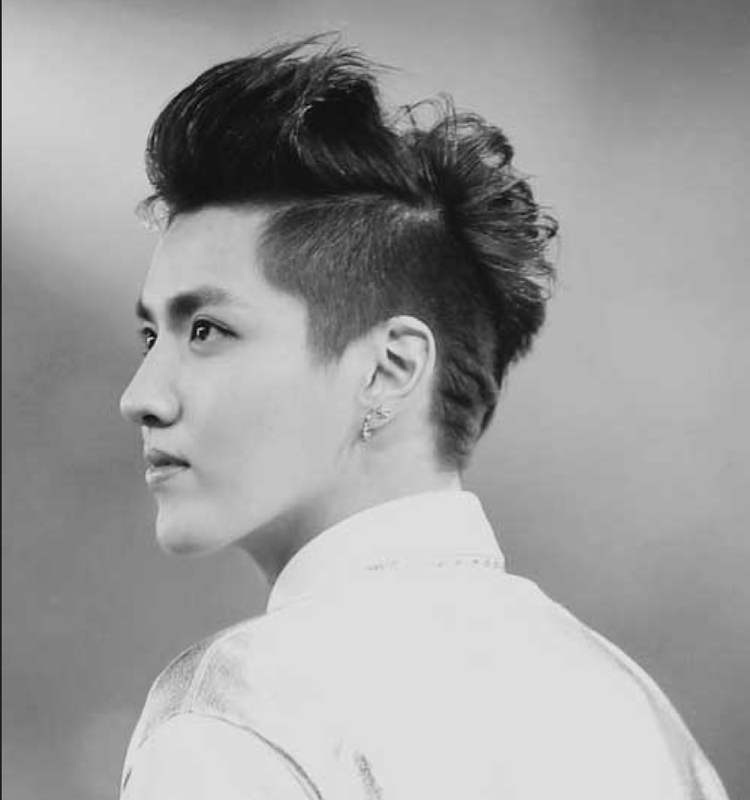 Chinese in general prefer to have side shaved or smaller hairs at the sides and back of the head. Atleast that was what I have observed till that time and men who had haircuts before me in that shop also had similar style. As she started my haircut, I prayed hard because I didn't want to take leaves from the office due to bad haircut. But it all went fine. I guess the hairdresser sensed that I was tensed and was careful enough! And yes, I visited her regularly till we stayed in that area. A recent below notice put up on our lift notice board, which is again unusual as we don't find anything close to this in India. One of the ways of showing care towards senior citizens. Kid's Garage DIY: Driving, driving in my car...!